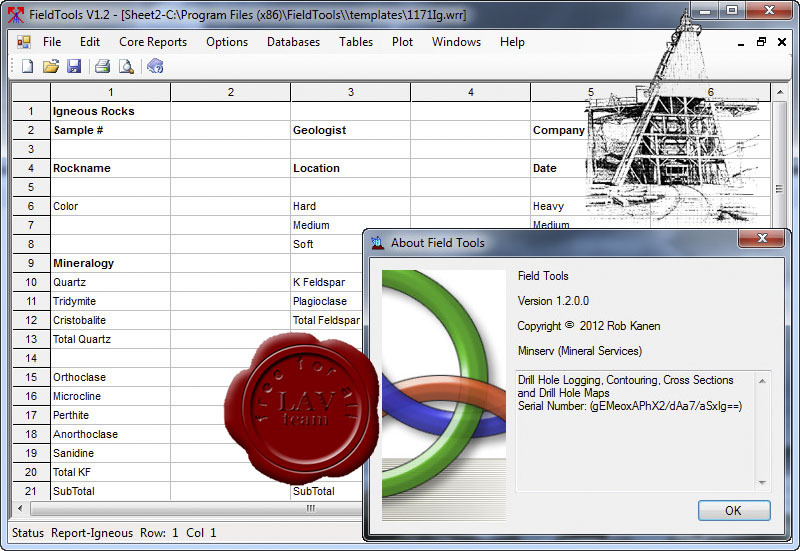 FieldTools is a program for drawing and plotting drill logs, cross sections, contour maps and drill hole maps. A wide variety of options allow the plans to be customized to your requirements. Designed for presenting and interpreting geological field data. Plot Drill Hole Plans, Drill Logs, cross sections and contour maps. Import Wizard for Tab, Comma, Space, Semi-colon Delimited and Fixed Width Files. Reads and Writes Tab, CSV and Excel Files. Builtin Spreadsheet for Entering and Editing Data. Save and Print Maps and Logs. Drawing and Text Tools, Including Line, Box, Ellipse, Text, Symbol. Choice of Colors, Labels, Symbols and Fonts.